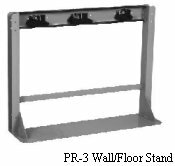 Stationary Cylinder Stands and Process Racks are designed to provide a safe and cost effective means to mount gas cylinders (up to 12 inch diameter) and delivery systems where wall space is inaccessible. 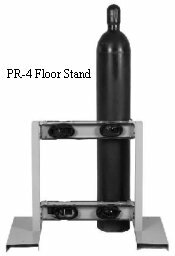 They are available in various cylinder configurations and can be supplied with or without process panels. 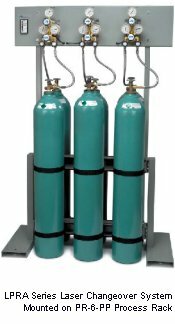 The process panels can be used to mount changeovers, regulators, valves, and other components of a gas delivery system. H" x D" x W"